Since 2005, Antipode has run sponsored sessions at the annual meetings of the American Association of Geographers and Royal Geographical Society (with the Institute of British Geographers). We invite presenters who represent both the political commitment and intellectual integrity that characterise the sort of work that appears in the journal. Their lectures are filmed by our publisher, Wiley, and made freely available online; Wiley also arrange a reception. 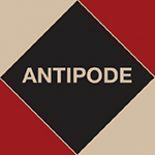 Speakers often submit essays to be peer-reviewed and, if successful, published in Antipode. Our archive of inspiring and provocative presentations can be viewed below. The AAG’s and RGS-IBG’s annual international conferences are widely seen as vital venues for the exchange of cutting-edge ideas–but they’re not, of course, the only ones. From 2018, the Lecture Series will be going on the road, reaching out beyond the US and UK to maximise the diversity of those contributing to our community, and facilitating engagement with scholarship from hitherto under-represented groups, regions, countries and institutions to enrich conversations and debates in Antipode. Our first stop was the joint conference of the New Zealand Geographical Society and Institute of Australian Geographers (https://nzgsconference2018.org) at the University of Auckland in July.